What are the leading rare types of cancer? Why are some tumors considered rare? According to experts, all cancers with diagnosed cases lower than 35,000 annually are considered as rare. However, just because a type is considered rare doesn't mean you shouldn't consider steps on prevention for it. Steps on prevention are the same with the common types. Sometimes, a cancer type is rare in where you live but is common in another country. Sometimes, a common type has rare sub-types. For example, breast tumor is common anywhere in the world but it has many sub-types. One sub-type is infiltrating lobular carcinoma, which is a rare kind of tumor. Cervical tumors used to be very common among women in the world. However, in developed countries like the United States, it is already considered rare compared to endometrial and ovarian cancers. This is due to consistent pap smears most women undergo. Pap smears can detect cancerous cells at a very early stage which help curb them grow out of control. There are also vaccines used as prevention against human viruses such as HPV that lead to cancerous cells. These vaccines are now available to every young woman before she becomes sexually active. Sadly, cervical cancer is still common in poor and developing countries where pap smears and vaccines are too expensive. The Philippines is one country where a woman does not have full access to reproductive health care because the Reproductive Health bill that will implement mandatory health care to every Filipina has not been passed yet. How rare is it? Of the 10,000 new soft tissue cases diagnosed each year, only 5 to 10% is synovial sarcoma. This occurs more often among men and about one-half of the cases start in the knees. It affects the soft tissues such as muscles, fat, blood vessels, and fibrous and synovial tissues. It is a type that has no defined cause but genetics is believed to play a role in its development. Examples of very rare primary bone cancers are Osteosarcoma, Ewing's Sarcoma, Chondrosarcoma, Angiosarcoma,Chordoma and Spindle Cell Sarcoma. Osteosarcoma is the most common type among these. This is a type of breast tumor which is rare compared to Invasive Ductal Carcinoma. Invasive Lobular Carcinoma is considered as a special type and is deadlier. It is also the type that afflicts the breast tissues of men. IBC patients are only 1 to 6% of the total number of breast tumor cases. It is very aggressive and does not exhibit a lump which is the most common symptoms of breast tumor. I have a personal theory on why IBC cases are rare. It is a tumor that is not diagnosed easily because its symptoms are not common. So when it is diagnosed, it would have spread and be diagnosed as a different type. Or the person who has it may have already died before being diagnosed properly. Remember that it is a very aggressive tumor. The number of cases of tumors that grow in the esophagus is still rare but it is slowly rising during the past years. The increase is because of a rise in the number of people who are obese. Dangers of being overweight and harmful effects of tobacco smoking are two of the risk factors for esophageal tumors. Here's a great tip on prevention: Maintain a healthy normal body weight. An important sign associated with tumors in the esophagus is dysphagia symptoms. The tumor develops in the cells of your thyroid gland. The thyroid gland is found in your throat below your Adam's apple. It makes the hormones that regulate your weight, body temperature, heart rate and blood pressure. There are 4 types of thyroid tumor -- papillary, follicular, medullary, and anaplastic. Papillary is the most common among the 4 types and may develop even among those who are in their 30s. According to experts, a very important risk factor is being exposed to high levels of radiation either from radiation therapy or gases with radioactive elements from leaks or accidents in nuclear plants. The thyroid gland is very vulnerable to a particular radioactive element known as Iodine-131. Carcinoma that starts in the brain is one of the rare types of cancer. It is usually diagnosed as a secondary tumor. There are types like lung cancers that metastasize to the brain during their late stage. Another term for multiple myeloma is Kahler's disease. It commonly affects men especially blacks. It is a type of cancer that develops in the plasma cells -- white blood cells that make antibodies -- of your bone marrow. What happens in multiple myeloma? The cancerous plasma cells rapidly multiplies beyond their normal level. Health problems they can cause are. 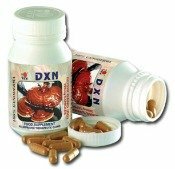 . .
kidney problems if the abnormal cells produce too much paraprotein. It is one of the rare types of cancer that is incurable at the moment but remission is possible with stem cell transplant, chemotherapy or the use of steroids.